Brexit or Remain? Why not support the changes that are taking place by sending distance healing with a crystal grid? Here’s one I created with Rebecca – you don’t have to create your own grid – you can just send energy to the picture of the crystals below or simply use it as a focus for meditation. If you want to create your own grid please feel free to do so and share a picture in the comments below with us. We have used crystals which will generate unconditional love and hopefully help us all to focus on the best outcome for everyone’s highest good rather than sending it for a specific result as we think this will just create a push pull charge of energy. 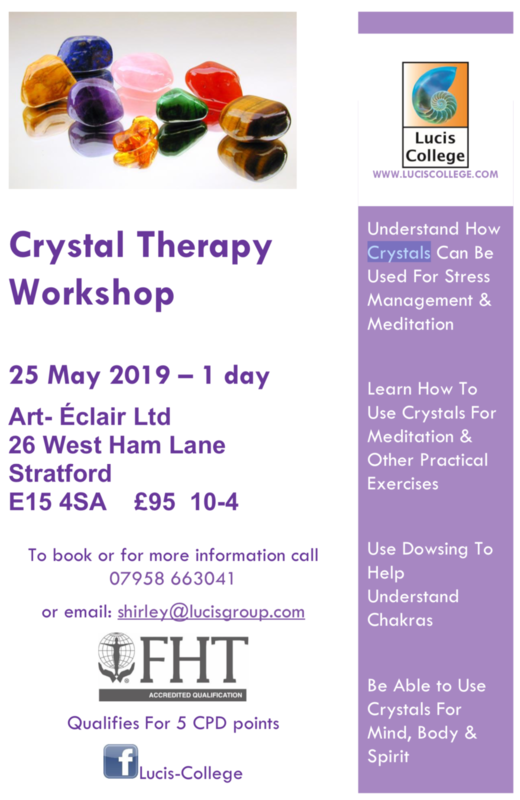 In this session you will gain an understanding of increasingly popular energy-based treatments such as colour therapy, flower essences, reiki, crystal therapy and acupuncture. Find out how they can add value to your existing treatments and your business. We have a new article out in Dowsing Today.